What's on Tap in Anderson? Looking for something ice cold? We've got you covered. Pints and Pies is officially back by popular demand! 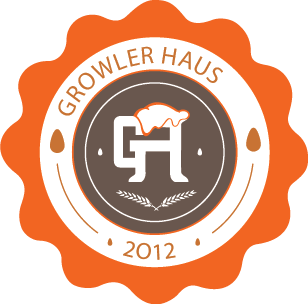 Come to Growler Haus on Monday nights and enjoy your favorite beer with some tasty pizza. The first pizza call will begin at 6:30 so be sure you get there early! Noticed anything new on Tuesday nights in The Haus lately? We're going All In on our recent experiment with Trivia at Growler Haus! Come out and see if your team can take home some sweet brewery swag, Haus Bucks, and more as you work to outsmart your lovely hosts - Ellis and Charla. Funny team names highly encouraged! In a salute to all those that make Growler Haus great, we've created Tribe Night on Thursdays. For those who have purchased their Tribe Card, you will have access to the exclusive rotating specials crafted by the Haus Team. Ask your beertender how you can join The Tribe today! Looking for a fun way to spend your hump day? Bring your friends and your favorite board game down to Growler Haus and see the real champion is. Don't have any board games sitting around at home? Simply grab one of ours! Win a game and your beertender will announce your champion status to the whole bar! Join us as we bring in live local musicians to The Haus to help kickoff your weekend right! Bring your growler in on Saturdays and get 10% off all growler fills. If you purchase one of ours, we'll give you 15% off your fill! We also will be giving 10% off for anyone wearing College Football gear during the season! Find out more about upcoming events and other news at the Anderson Growler Haus on our Facebook page. Our Instagram page is sure to make you hungry, thirsty, or both! View photos of food and drink as well as past events. Have you joined the tribe yet? 20% off on Thursdays, 10% off on all other nights! 1 complimentary pint per month! Add your name to our Tribe Board! Access to exclusive Tribe swag! Tribe Appreciation Parties each quarter!